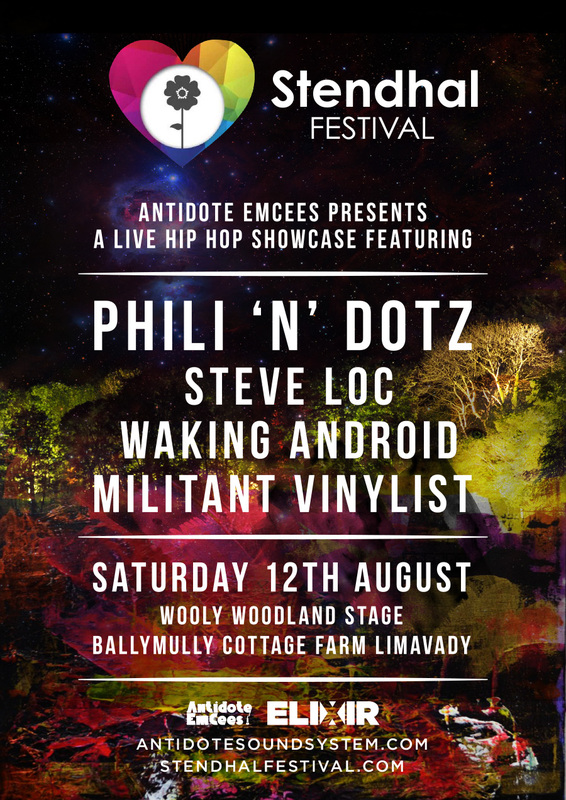 We are back at our favourite NI Festival for another year with our Live Hip Hop showcase at the Wooly Woodland Stage brought to you by Antidote EmCees and Elixir. 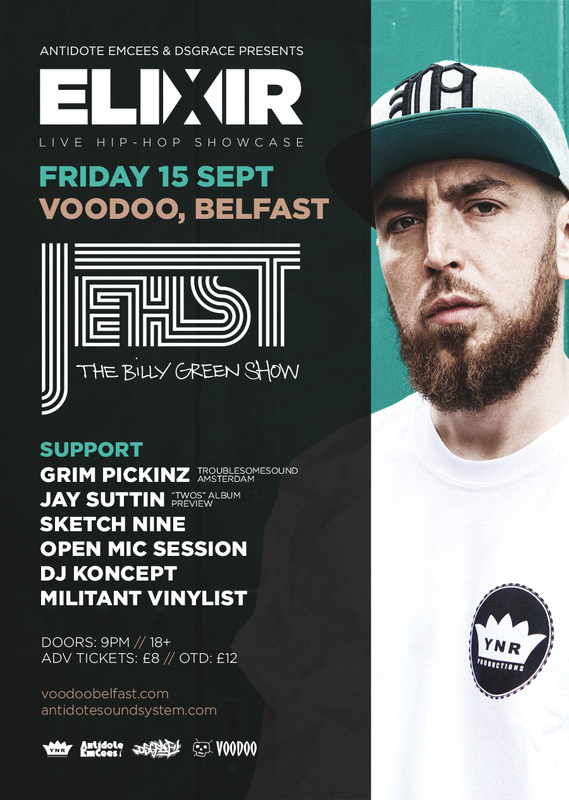 Elixir and Antidote EmCees are proud to present one of the UKs most influential Hip Hop artists for an exclusive Belfast show. Support from Grim Pickinz, Jay Suttin, Sketch Nine, Open Mix Session, DJ Koncept, Militant Vinylist.